You must make reservations at least 5 minutes in advance of the time at coZara. 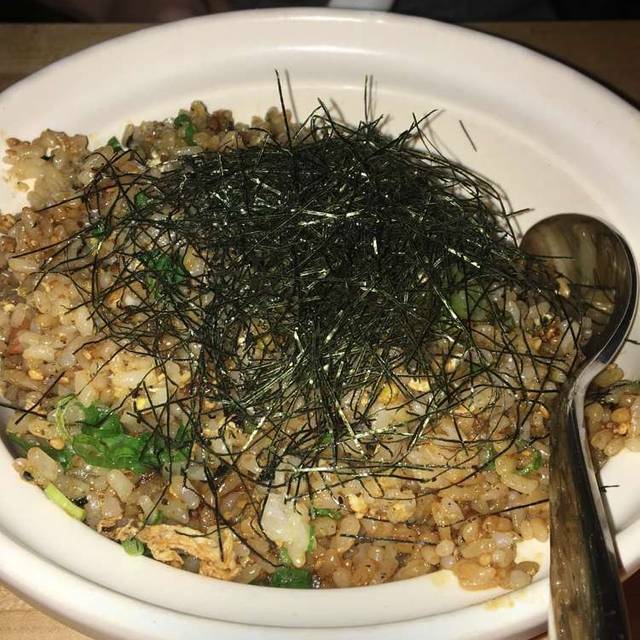 coZara is a true Japanese Izakaya, Japanese word for Gastro pub , small plates tapas style restaurant located in University City. The moment we walked in I was greeted with unwelcome statement “closing in 5 minutes”. I had chosen the 8:30 PM slot from open table, thinking it is Saturday night and it should be open at least till 10 PM. I do not like sitting in those high chairs for dinner. But the waitress said that is all she can give me and walked away. The potstickers were dry and totally tasteless. Finally the sushi. Please don’t eat sushi here. The rice used to make the sushi was undercooked and dry. If the rice is not well cooked, regardless of what you do with the fish, the sushi will taste disgusting. Me and my wife scored the sushi at “3”. There was a young man, who was quite gracious. He sensed our unhappiness and offered some free mochi. The food was very good, although the presentation of the curry dish was not as inviting as I would have liked, however, the taste was good. Cool spot but the food was not very good. The wings that I ordered tonight were probably the best wings I’ve ever had in my life. Order the wings! Overall, great first experience and will be back. The server was very attentive and the food was quite tasty! a little pricy for lunch. very tasty. Great service. The food was quite average though. Food was delicious. Sushi chef was inundated with orders so food came out slowly. But the server was gracious and took a beer off our bill. Overall positive. The food was very good and the staff friendly and attentive. Overall, good food for a good price in a nice, relaxed setting. One of my favorite sushi places in the area. Had wonderful, friendly service from Claudia, and Andrew is the consummate manager and host. Truly a great place. Great food, great ambiance, great service. we had a bit of trouble with strong air blowing out of a fan. The manager explained it could to be addressed because it is out of their control. He moved u to a better table. So, great service. I liked how their ramen came in two sizes (small and regular). The broth for seafood ramen was good. Happy hour deals were great. It's now my favorite restaurant! Went for my husband's birthday and had a marvelous time. Great Sushi. Reasonably priced, excellent service. Will be back! Amazing as always! Andrew the manager and servers Crystal and Claudia were wonderful!! 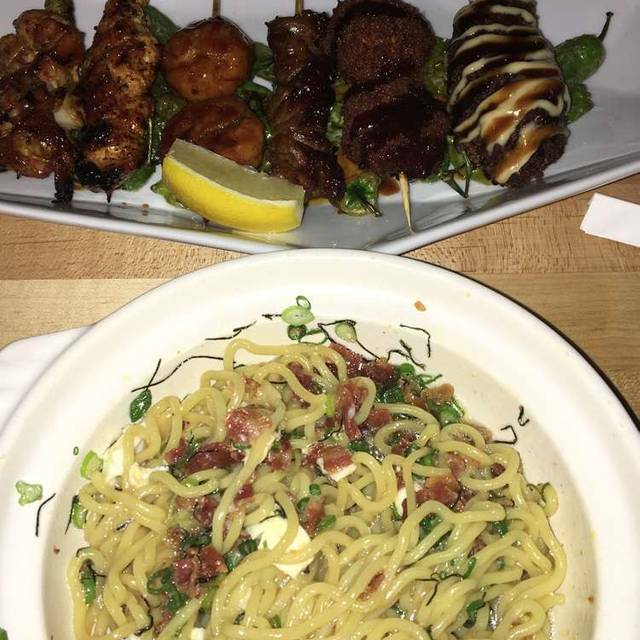 The food is always incredible. Restaurant was no open when I put in a reservation. Open table is at fault for not notifying it’s customer, not CoZara. They weren’t even open when I went to my reservation. 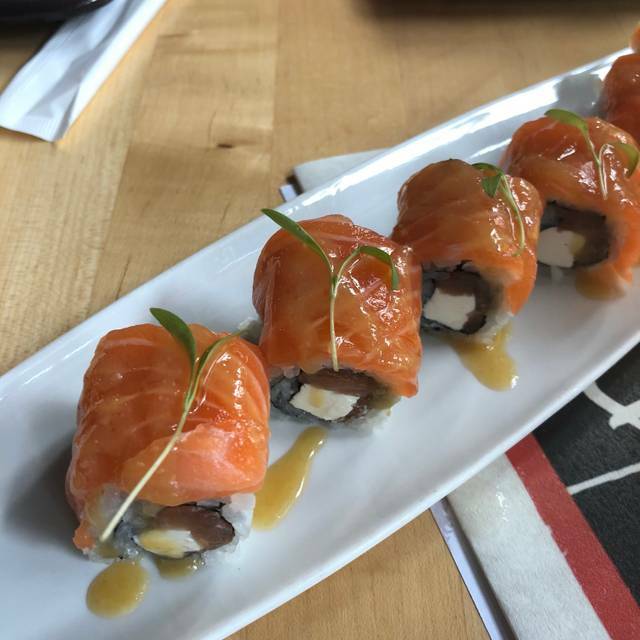 The sushi was quality and rolled very well. The specialty rolls were ok but not very inventive. Overall a good meal but not one I have to have again. Loved it! The seafood ramen is amazing and so is the shrimp tempura roll! We loved CoZara when the head chef Phila was there. We haven’t been back since he has moved on, due to a busy summer. However, we were thrilled to go back and see how things were. We were slightly underwhelmed with the new head chef and the overall menu. Portions got smaller and the prices got higher. But the sushi is excellent! So all is not lost. They did get another sushi chef, Robin, who we knew from a previous sushi place. It was such a great surprise to see him at CoZara! He is a gem and we will be returning for the sushi! Overall, we will be back for the sushi and hopefully to see some more items on the hot menu. The chefs have proven themselves as true artists, from taste to delivery. Went for restaurant week. Not crowded. Food was very good. Because schools were empty to do summer break, parking on the street - not free - was available. We ordered the shashimi and spicy chirashi bowl. The shashimi was good for $29 and I would recommend getting that. The chirashi bowl was good as well; the rice was an interesting orange color and flavourable but not too spicy. 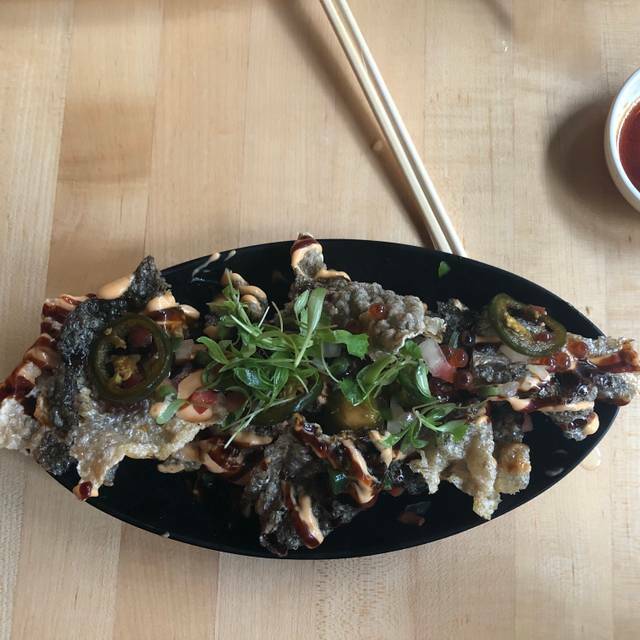 However, the cuts of fish in the bowl were reminiscent of those found in a poke bowl. I felt that for the price, there should have been better cuts. Otherwise, we were content with the food and the service, and I would go back to try something else on their menu. I had the $35 tasting menu, which consisted for four courses. I personally think it is extremely overpriced, because the ramen was lackluster. 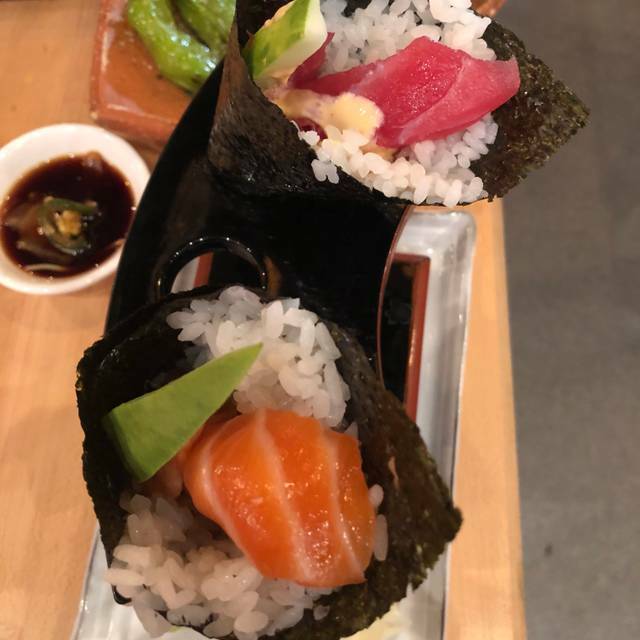 The first course consisted of the seaweed salad that was too acidic, three pieces of sashimi (the fish was good), and salmon skin tacos that were okay (could use more salmon roe/jalapenos). For the second course I had yakitori (fried scallops, chicken thighs, and NY strip). The NY strip and the chicken thighs were great, but the fried scallops weren't exactly what I would consider yakitori, since it was deep fried. The third course was a choice of ramen. I had the seafood ramen, which was extremely disappointing. The both lacked flavor, and I could barely eat it. Moreover, the egg was not soft boiled (it needed atleast 2 more minutes), and wasn't flavorful. 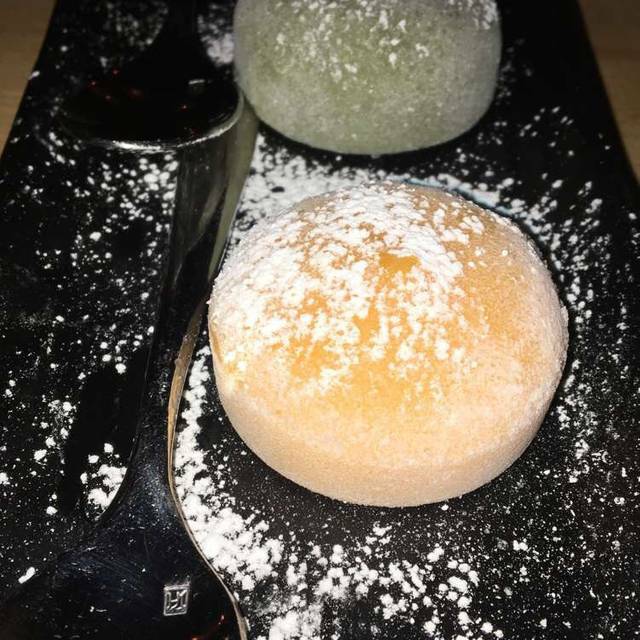 The final course was a choice of mochi, that I think was store-bough/imported and was good. The service was okay. I don't think I'd be returning here again, because this place isn't as good as Dana, even though it is affiliated to it. I have no idea how CoZara has gotten good reviews; it is a college bar with a sushi counter attached. The staff was more interested in flirting with eachother than with doing their jobs. I was looking for a nice restaurant for a business dinner that is convenient to the newish hotel Study, in University City. CoZara is right across the street and the reviews were good, so we gave it a try. We had mostly starters that we could share easily. Food was quite good, and service very friendly, but it was not really what I was looking for since it was a business dinner. This is more of a neighborhood joint. No real complaints, but I would not go there again for this purpose. We went to celebrate my husbands birthday! The food, as usual, was awesome. And our service was also fantastic. Looking forward to going back! It was my husband’s birthday dinner. Unfortunately they have a very strict policy on outside desserts yet they do not have a small cake to serve a group. We were 8 people and would have had to pay 3.00 per person “cutting/plate” fee. This would have been 24.00 additional dollars which is more than the little cake I brought in. It was a nonnegotiable policy and unfortunate. 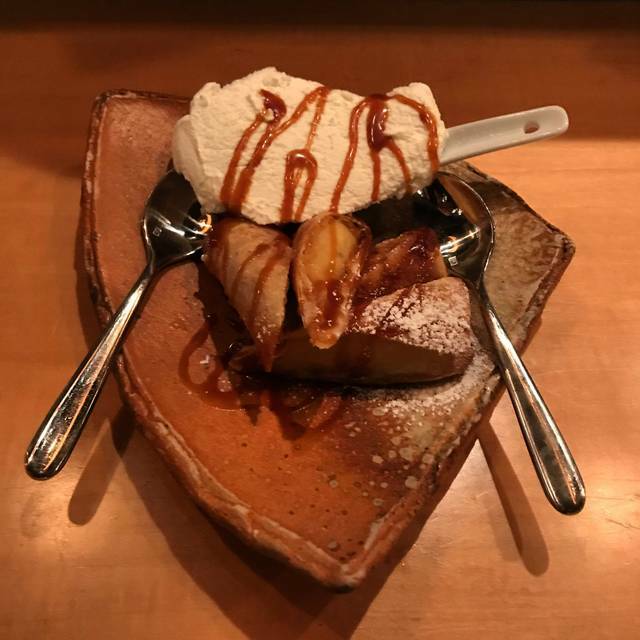 The manager said they have their own desserts but nothing was a cake. At the end of our meal it took a while to get our server back to ask for one dessert just to sing happy birthday. We now were in a rush to get to the dance show.We got one of their most popular ice cream type desserts with a candle which sufficed but was disappointing. I brought this cake from the suburbs into the city to have at dinner before my daughter’s dance performance at Drexel. We never cut it that night. Everyone was a little disappointed we couldn’t enjoy it at the restaurant. The service was overall good, as was the food and ambiance but we left feeling disappointed. This is my "go to" for really good Japanese food at a reasonable price. They have an extensive menu. It's a fun casual atmosphere with friendly service! Our sushi was very nice--but the salmon teriyaki used fish that was not fresh. We celebrated Mother’s Day at CoZara. The food was really good! Fish was very fresh, the edamame was extremely good, the truffle roasted brussel sprouts were outstanding!!! Really good meal and fun time!!! Excellent special rolls, good sushi, nice atmosphere- ate upstairs and it was a little less noisy. Would definitely come again! Fantastic variety of outstanding dishes. Great service and high quality. One of our friends is gluten free. The server went through what menu items she could have. We ordered, and a few minutes went by and the server came back upstairs to inform us that none of what my friend ordered was gluten free, even after she told us it was, and pretty much all she could eat was vegetable sides. (Note: I, as a vegetarian, ordered all sides since there wasn't a vegetarian main dish, but I didn't want to make a big deal out of it). Disappointed, we paid for our drinks and left. Downstairs, expect to sit at a high-top table. As that's not my preference, I was greatly relieved to be led upstairs (a fair number of stairs--good glute workout for those who work there, I'm sure!) and sat at a small two-top overlooking the fun artwork in the stairwell. If it had been a little warmer, we might've requested seating on the second-floor balcony, which is protected on three sides and overlooks Chestnut Street. I imagine it's a fun spot to people watch on nice days. 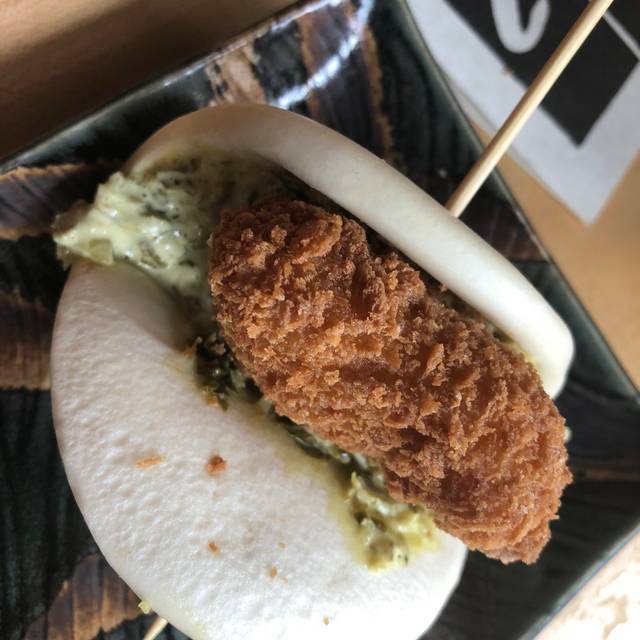 We did a mixture of smaller dishes with the Duck Bao Bun (1 to an order) coming out on top: full of duck, with a nice hoisin-based sauce (though I would have it a bit thicker). Our second favorite was the Red Dragon Roll, which was a spicy tuna avocado maki topped with tuna, crispy shallots, and sweet chili eel sauce--very nice flavors. The fried, Pork Gyoza were extra crispy and worked well with the dipping sauce. 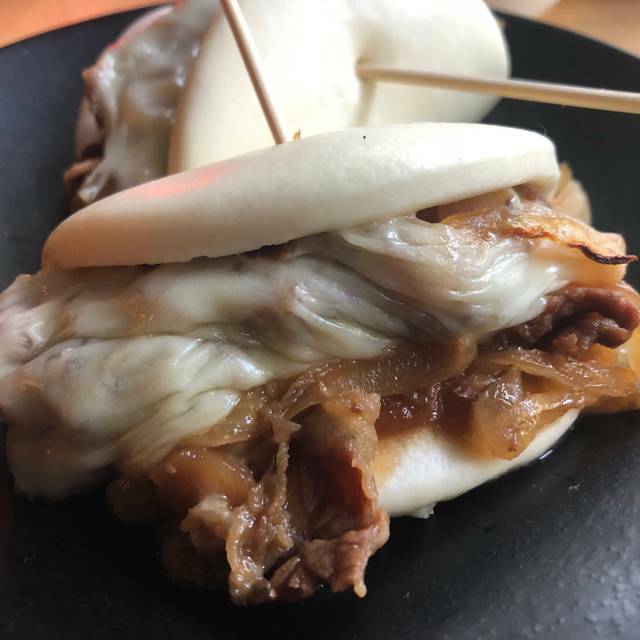 Both the Spider Roll and the Sukiyaki Spring Rolls were fine, but not exceptional--I appreciated that I could taste the sukiyaki in the roll, but am used to a fuller sukiyaki flavor. Food here is some of the best in the city and the good thing is not too many people know this.